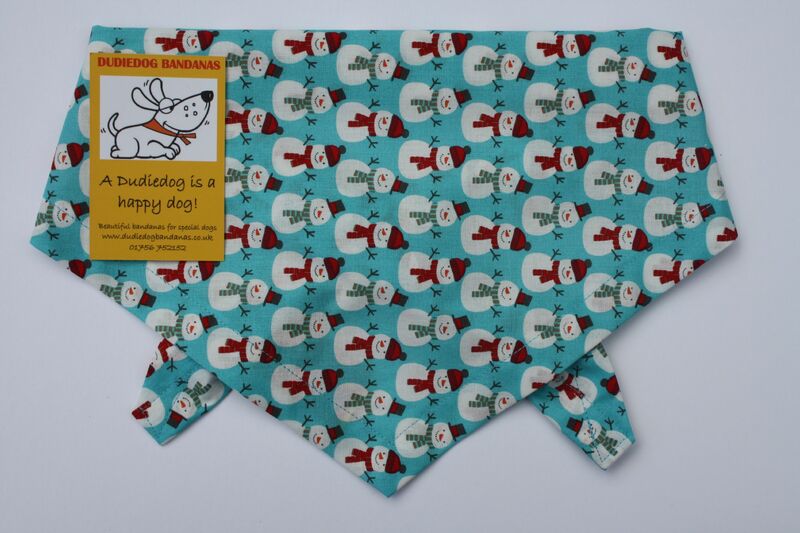 What dog wouldn't feel festive wearing this cute Jolly Snowman Christmas dog bandana?! This is a really sweet Christmas Snowman dog bandana! 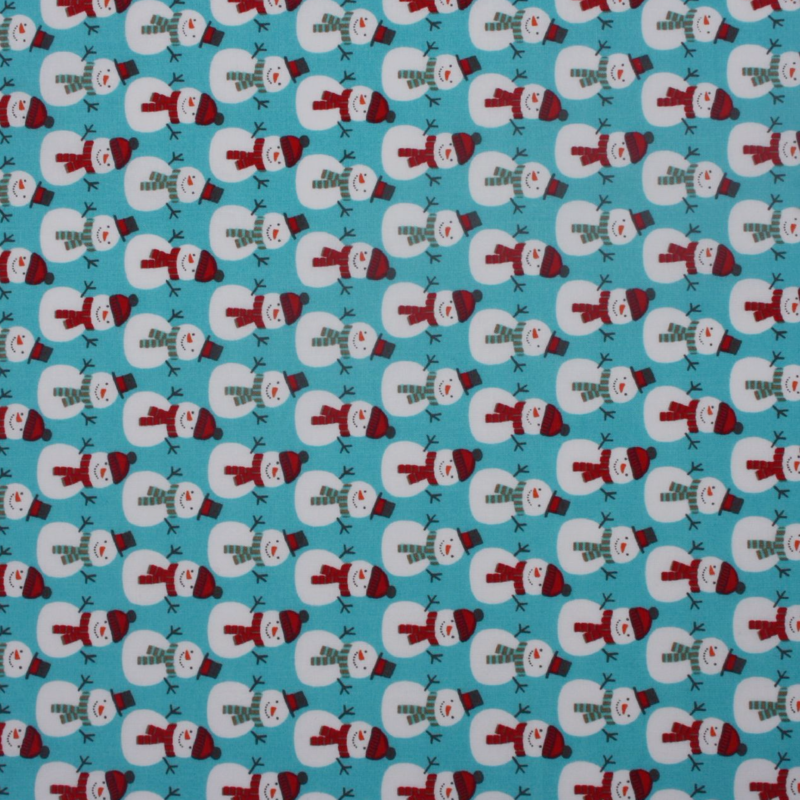 The background is a lovely shade of cool turquoise and the design incorporates little jolly snowmen wearing hats and scarves. It's a really beautiful festive design, and is the perfect Christmas accessory for any dog! It will also make a perfect doggy gift or stocking filler for your 4 legged friends!